Digital transformation is on everyone’s mind. It’s everywhere on the factory floor, in the warehouse, and it’s now conquering the service, sales and aftermarket functions. The teams in charge of the aftermarket are extremely strategic for any organization because they alone is responsible for managing the customer lifecycle, which – when done right – can secure long term recurring revenue growth from parts, consumables and services. Conventional wisdom says that selling additional products and services to existing customers should be simple and less expensive than acquiring new ones. Yet if you are a sales or marketing leader chartered with growing revenue by selling spare parts, consumables and services to your installed base, you know that oftentimes, nothing can be further from the truth. Unlike when dealing with the initial sale of the equipment, the tools available to you and your team – CRM, Marketing Automation or ERP – can’t really help identify which customers to call, when, for what products, and the reason. Instead, you try to make sense of multiple spreadsheets, cumbersome and conflicting reports, legacy systems, and limited visibility into service and support systems. Does this sounds familiar? According to a recent survey by The Service Council on this subject, all participating aftermarket and service leaders indicated that being a digital business was important to the future of their organizations. In evaluating the outcomes of digital transformation, 52% indicated that they were looking to enhance customer value, with another 42% looking to improve the responsiveness of their service businesses. OEMs have long chased productivity, typically measured in service visits completed per technician per day. This pursuit continues, but we now see that organizations have matured to improving other aspects of their business. There’s nothing efficient about dealing with multiple reports, spreadsheets, and bouncing from one system to another to try and retrieve the most accurate and up to date customer information (what equipment they have, order history, call center data, service contracts, etc…). Digital transformation can help drive efficiency in the form of data availability at the user’s fingertips. Calling customers with a complete view of their account information, transaction history, etc… saves precious man hours and ultimately provides a better customer experience. BI tools promise to solve for this, but they can’t help if the data is corrupted to begin with. Before shopping for BI tools, OEMs need to make an assessment of their siloed data sources, and embark on a journey to cleanse, dedupe, and enrich their customer data. The buying experience for B2B customers has dramatically changed in the past few years, as they expect the same level of customer engagement and service they enjoy as consumers. For industrial manufacturers this presents a great opportunity and a risk which can – and should – be addressed sooner rather than later. Most organizations’ sales and service teams operate according to a reactive model: customers call to request a part or service; manufacturer provides said part of service; end of engagement. This might have worked in the past, but in the long run it exposes the OEM to the possibility that customers won’t come back to them the next time something breaks. Moving to a more proactive customer engagement approach provides a better overall experience and increases the chances of driving incremental revenue from the installed base. Several large companies have plans to hire more inside sales people to proactively go after the installed base. When equipped with right data (see above) and tools like CRM and Aftermarket engagement platforms, these teams can drive dramatic organic growth relatively quickly. It’s no secret that aftermarket revenue is way more profitable than the initial sale. So why are so many companies struggling with retaining customers and drive recurring revenue from the installed base? As we’ve seen above, it’s the lack of data and tools combined with an outdated reactive approach that is penalizing OEMs in their quest to drive organic growth. As organizations have become more mature in their assessment of digital transformation strategies, they have also become more mature in how they evaluate their technology investments. Most organizations believe that having a CRM in place is enough; that their marketing emails and reactive sales offices will drive growth in the long term. New data shows they won’t. Leading industrial manufacturers are already moving toward staffing their service departments with proactive inside sales reps, outsourcing the task of cleansing and enriching their customer data, and supercharging their CRM with predictive insights generated by data-driven customer engagement platforms. By embracing the digital transformation, aftermarket revenue becomes much more accessible. Rather than manually sorting through the data, Installed base and Aftermarket engagement software provide enhanced tools and tactics for sales, marketing and service professionals who are trying to retain customers and grow the portion of revenue generated by their existing installed base. Entytle is taking this approach. Applying data science and machine learning algorithms to massive amounts of customer data, our software is able to cleanse and reconcile customer information to provide enhanced installed base visibility. Only then, leveraging accurate and complete data, the system proactively pre-populates warm leads and quantifiable business opportunities for aftermarket sales and services. 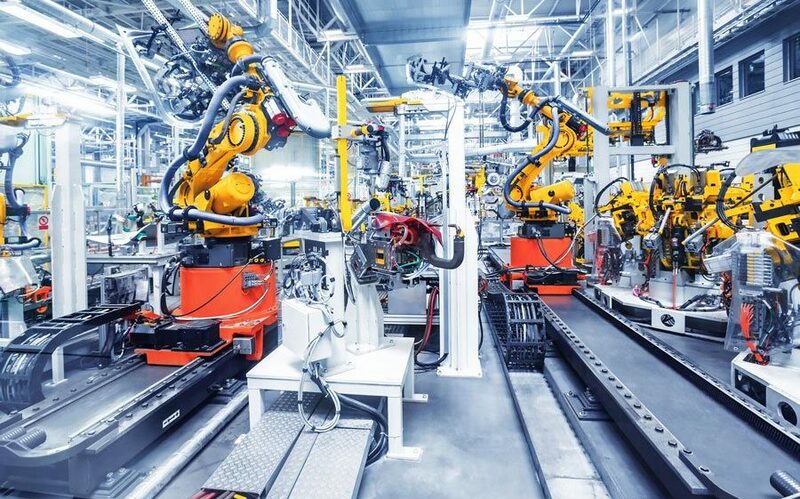 By utilizing this new wave of customer engagement and predictive insights technologies, OEMs can improve efficiency, customer satisfaction, and profitability without disrupting existing processes and workflows, as long as they’re ready to embrace a more proactive approach to customer engagement.